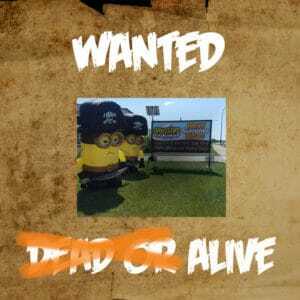 A despicable crime has been committed – our beloved inflatable pirate minions have been stolen! The theft took place on a July evening outside our Edmonton office. We are asking whether you, our valued customers, can help reunite us. We suspect they were stolen to sell so please keep your eyes peeled for any ads featuring our lovable pirates across Alberta. These poor victims being sold to the highest bidder doesn’t bare thinking about, they belong back home with us. If anyone would like to come forward with any information, or return our little yellow shipmates please get in touch. Any information that brings us closer to getting these guys home, will be much appreciated.